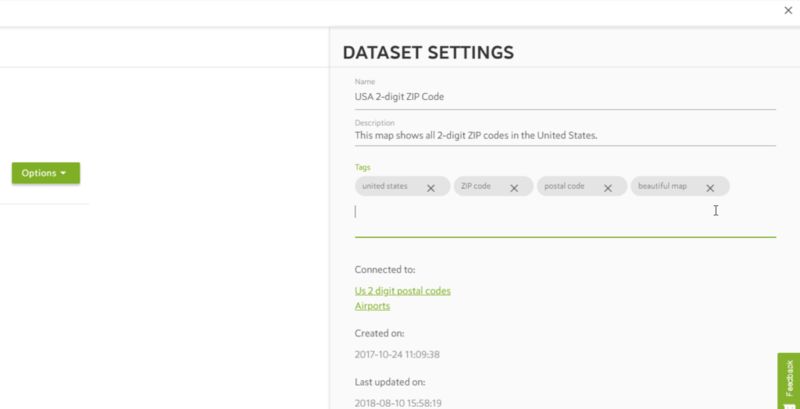 To start editing the settings go to MY DATA or MY MAPS and click the OPTIONS > SETTINGS button on the right side of the name of the dataset or map in question. 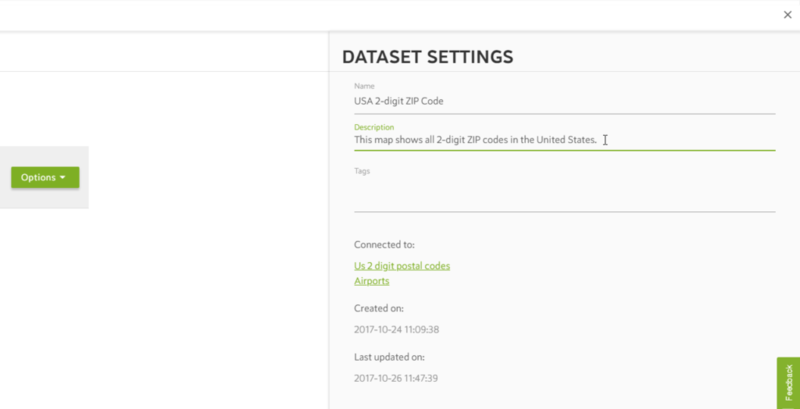 Now you can edit the information belonging to your dataset or map in the pane on the right hand side. Click on the name field, edit it and save your edits by clicking the green SAVE button in the right corner at the bottom. 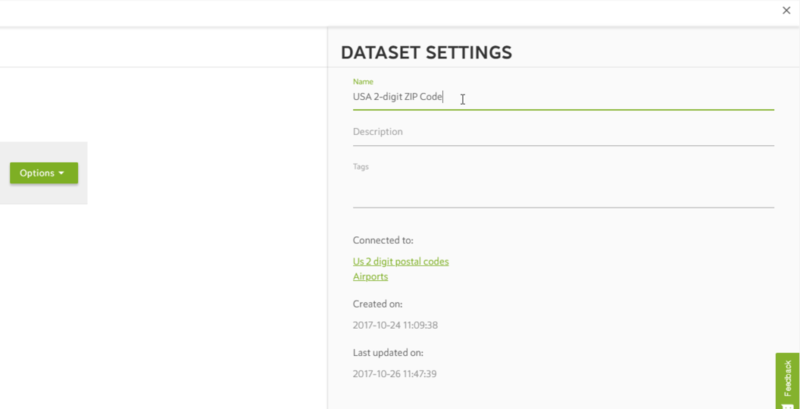 If you want to edit the description of your data or map click in the description field, edit it and save your edits by clicking the green SAVE button in the right corner at the bottom. 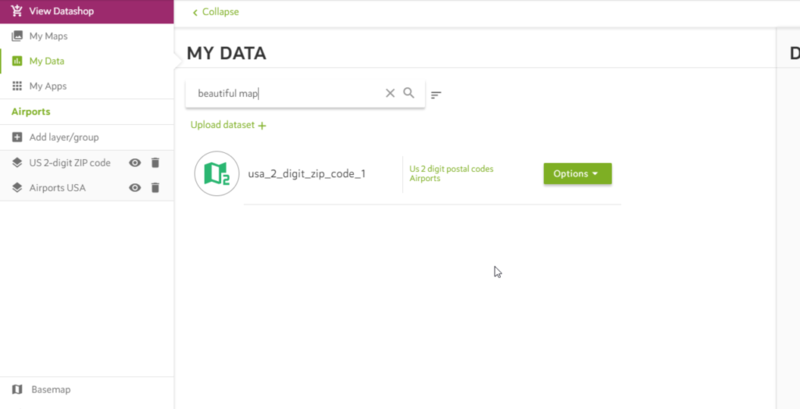 To help you find your data more easily you can attach keywords to your dataset or map. 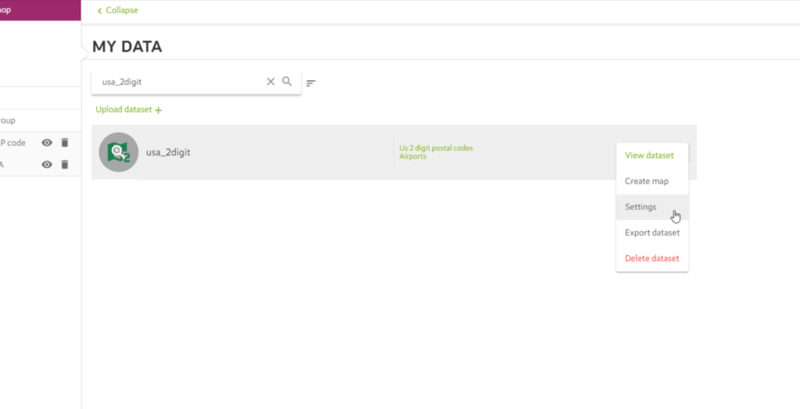 To do so click in the tags field and enter your keywords followed by a comma or by pressing enter. After you have added all your keywords save your edits by clicking the green SAVE button in the right corner at the bottom. When you now enter one of the keywords you added in the previous step into the search bar you will find your data/map in no-time.